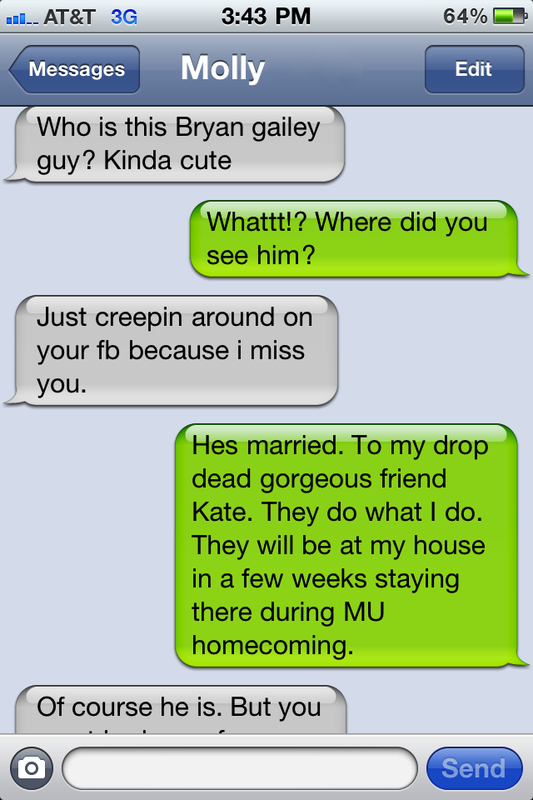 Set This Circus Down: best text ever! 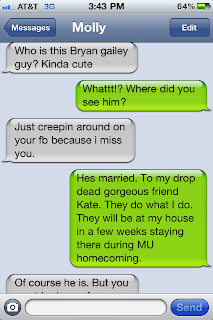 This is a legit text conversation between one of my girl friends and her cousin, Molly. "Gotta tell my little horn ball cousin to back off!!" I kinda laugh when ppl ask are you worried someone will steal him? I can't help but think to myself not everyone is in a relationship/marriage with someone who will look the other way or cheat! It's called trust! oh yes...your man (and you) are definitely cute! This is hilarious! Men... :) You and your husband are adorable! Check out my scarf swap! Totally needed this on my rainy day. haha too funny! I love that your friend passed this along. Haha that's creepy and funny at the same time! Um yes! He's still got it and you;ve still got it! You two are so good looking it's scary, I'm envious of your future babies. Quite the boost of confidence right thurr! Two hotties with the bodies (aka you and the hubs). haha, hilarious! it is good to know that your mans still got it, haha.